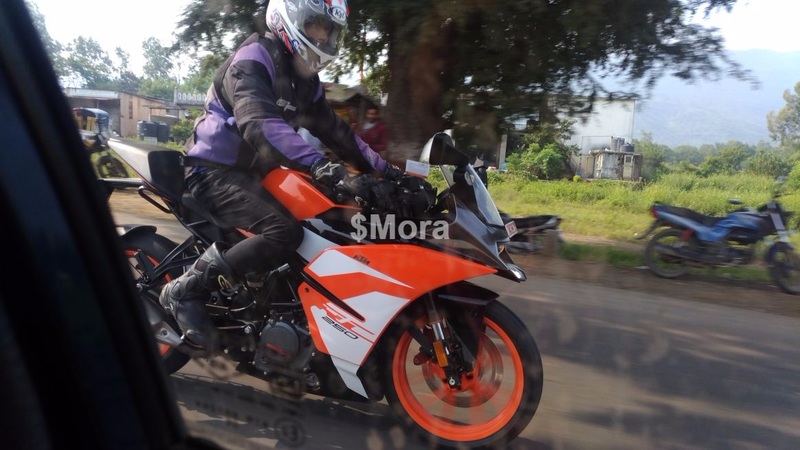 The 2017 KTM RC 250 has been spied in India for the first time. The design language of the motorcycle is identical to the 2017 KTM RC 390. The bike features a side slung exhaust like the 2017 RC 390. The test mule was spied near Old Mumbai-Pune highway. KTM sells the 2017 RC 250 in the international market. The RC 250 employs the same engine as the 2017 KTM 250 Duke. The 248.8 cc single cylinder engine with liquid cooling and fuel injection makes 30 PS at 9,000 rpm. The maximum torque output stands at 24 Nm coming in at 7,500 rpm. The engine mates with a 6-speed transmission. The slipper clutch is standard in the international market. A 43 mm upside down telescopic front fork and a WP rear monoshock hold the steel trellis frame. The faired motorcycle comes to a halt using 300 mm front and a 230 mm rear disc. The bike comes with twin channel ABS in the international market, and the ABS ring is present in the test mule as well. 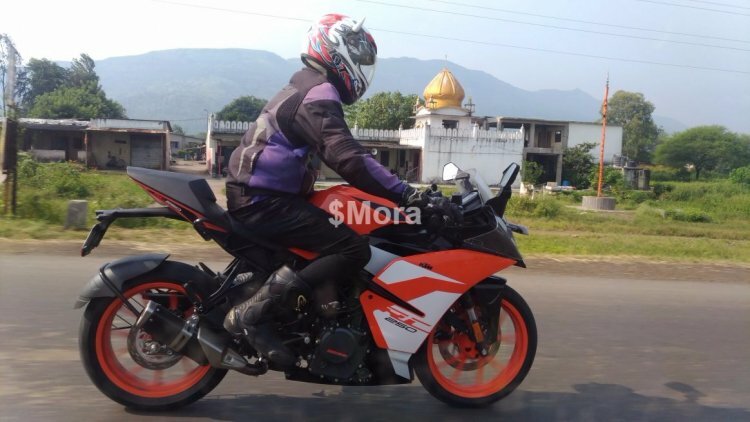 However, the person who took the spy shot had a word with the rider; and as per his information, the bike misses out on ABS and slipper clutch. The motorcycle weighs 147 kg, dry. The fairing design is also akin to the 2017 RC 390. Unlike the RC 390, the bike does not come with ride-by-wire. The instrument cluster is the same LCD unit that does duty in the 250 Duke. There is no official word about the launch of this motorcycle. Expect more details in the coming months. Currently, there are no 250cc faired motorcycle in the country, and if KTM plans to launch the bike, it has the distinct advantage of exploiting the segment. That is unless Honda brings in the updated version of the CBR 250R.